The DFW House Buyer | Call NOW (817) 550-5069 Opt#1 | Can I Sell My House Investment Property Fast DFW? Can I Sell My House or Investment Property Fast in Dallas Fort Worth, Even If It's Occupied? Yes, Absolutely! Are You Tired of Your Investment Property Headache? The DFW House Buyer Can Help! I Buy All Types of Houses In Dallas Fort Worth! Please call our 24 hr free recorded info-line at (817) 550-5069 Opt# 1 to learn more. Send My Free Report and Make Me A "Top Dollar" Offer NOW! Click Here To Find Out How Much We Can Pay For Your House! Get a fair CASH offer and quick close (usually 10 days or less) and NEVER pay closing cost or commissions when you Sell Your House or investment property to me. I buy all types of houses/ properties - vacant, occupied, pretty, ugly, large and small, land, mobile homes, apartments, etc... "be done with it" once and for ALL... I Buy Them All!!! 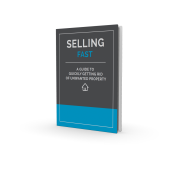 Get instant access to our free report "SELLING FAST: A Guide To Quickly Getting Rid Of Your Unwanted Property" and learn how to sell your investment property in Fort Worth fast. TMC Property Solutions buys, remodels, sells, and leases homes, improving home values and neighborhoods across DFW and providing beautiful homes for familes to enjoy. l am a local real estate investor and have cash ready to "Buy Your House" or investment property in Dallas Fort Worth Texas. You may also be interested in our YouTube Video's covering a wide range of topics on how I can help you sell your house or investment prioperty in Dallas Fort Worth and the surrounding area. So, when you are thinking "Can I Sell My Investment Property Fast in Dallas Fort Worth" as an absentee owner, please call our 24 hr free recorded info-line at (817) 550-5069 Opt# 1 to find out how. Call NOW! Interested in learning more about who we are, and what others think of us, Google TMC Property Solutions and then call us to sell your house fast in Dallas Fort Worth. We are an accredited business and A+ rated members of the Fort Worth BBB. Check with the rest - call the best - Sell Your House Fast In Dallas Fort Worth to The DFW HouseBuyer TODAY!